The updated digital catalogue of the brand DT Spare Parts has been extended with more than 60 new parts suitable for Volvo Bus B 10/12 with TH/THD engine. It contains a total of around 1 600 spare parts that replace around 3 500 reference numbers. 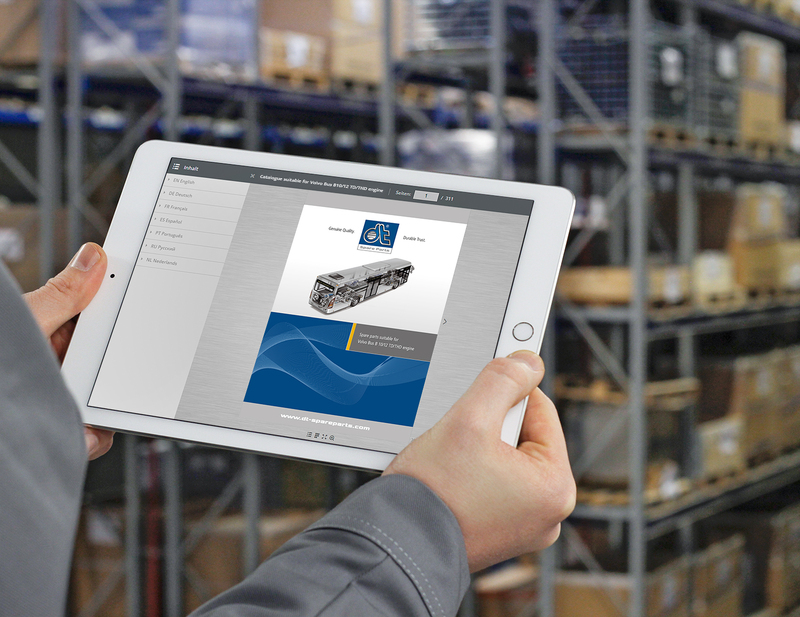 The digital version is now available to distribution partners and their workshop customers at http://dcat.dt-spareparts.com. The clear subdivision into product areas and the structured design in numerous languages guarantees intuitive operation as well as a quick overview of the product range. Thanks to the direct links to the article details pages in the Partner Portal during the article, reference number or full text search, the products searched for are found in a targeted and uncomplicated manner. The continuous further development of the spare parts range offers DT Spare Parts customers a constantly growing range and future-oriented solutions from a single source. In addition to the spare parts program suitable for Volvo Bus B 10/12, products for Volvo Bus B 9/11/12/13 are also available. In total, the complete range in the bus segment comprises more than 13 000 parts in guaranteed quality.